. 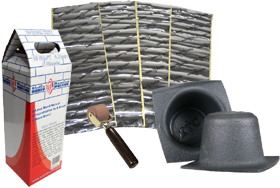 Here at Half Price Car Audio, we have door kits that eliminate unwanted noise and vibrations from your car and at the same time upgrading the potential of your car audio system at its best! Made from durable materials, Door Kits from Audio Barrier are able to withstand extreme temperatures and can easily be installed any time you want. All these and more here at Half Price Audio, where you can find the best and nothing less!